On the way back from the range we ran into a herd (the correct noun?) 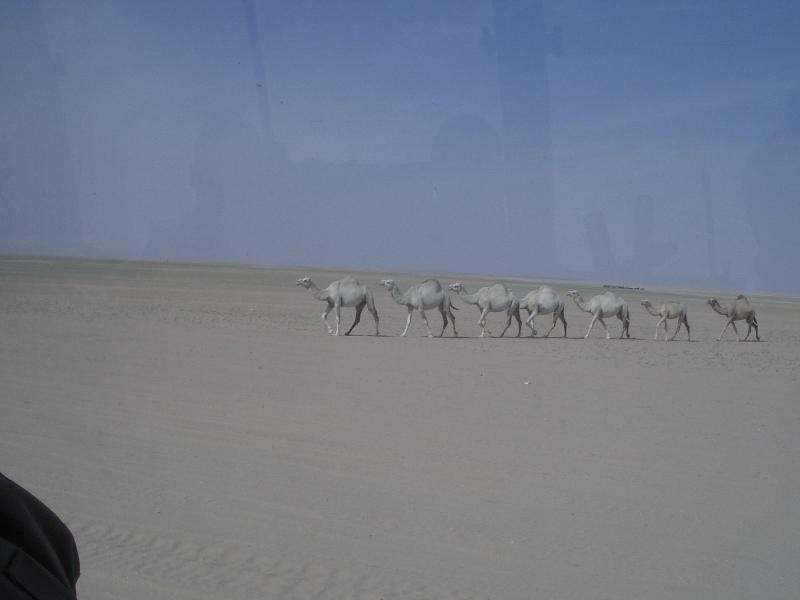 of camels and some Bedouins. 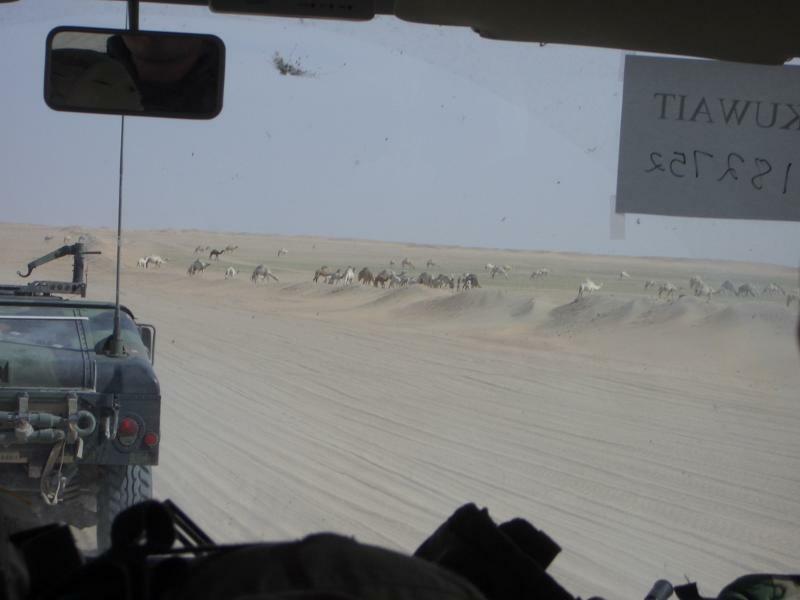 It is not uncommon to have to cease fire on the ranges so these guys can pass with all their camels. A happy little camel family (in a Ranger file). 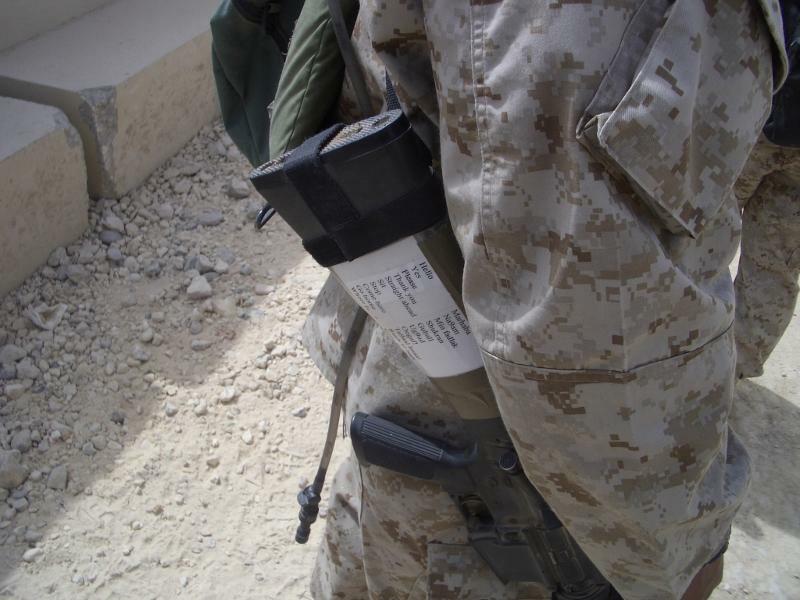 In the chow line I noticed this Marine’s cheat sheet for handy Arabic phrases. 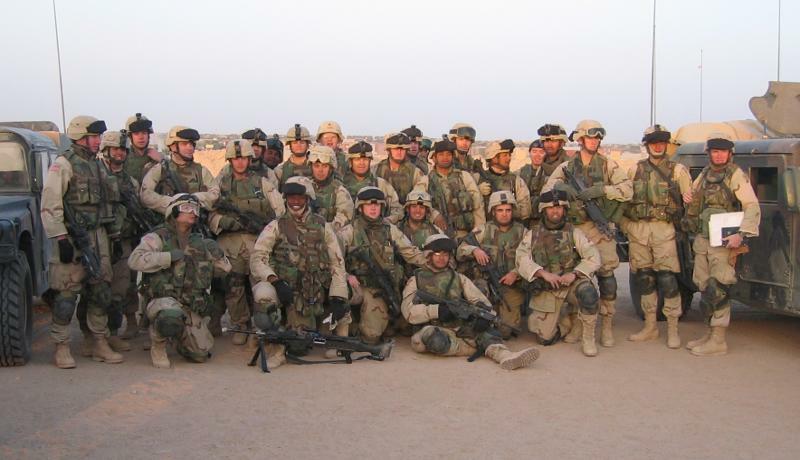 Group photo of Alpha Company before the road march up through Iraq. Apparently this is what I look like quite often. Wow, that’s a lot of camels. And love the cheat sheet attatched to the gun! I don’t support the war (peace is so much better! 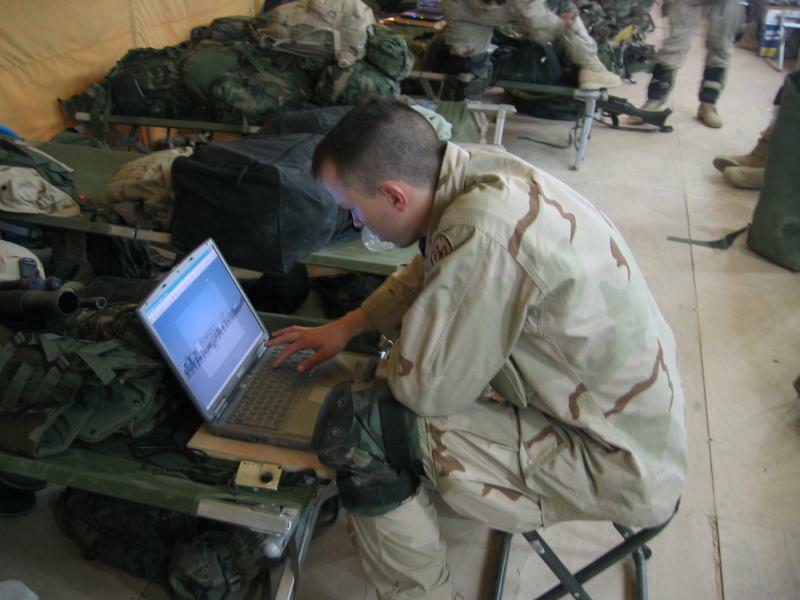 ), but I do fully support the troops. Good luck and be safe!